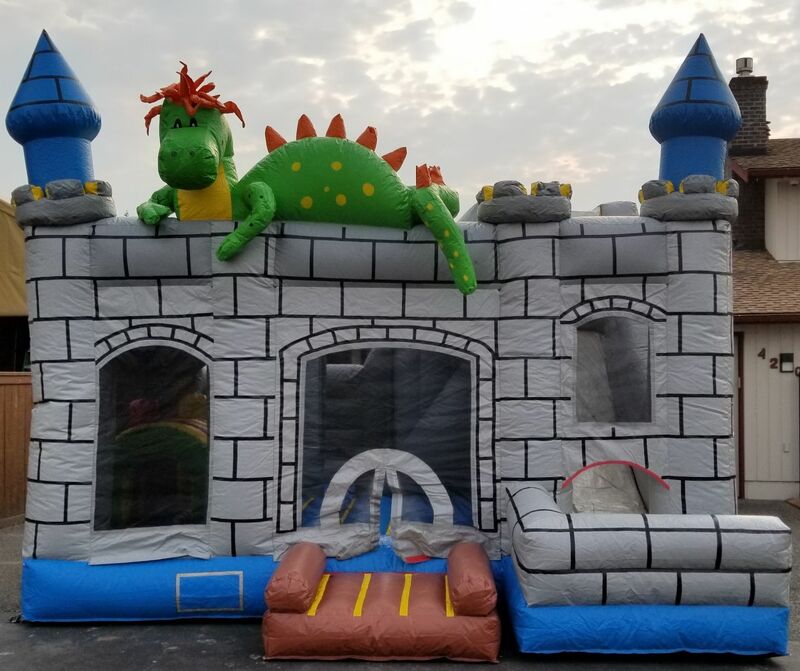 This Big Dragon themed Castle Bounce House and Slide Combo is perfect for all ages. This Inflatable bouncer will be fun for all your guests. Coming Soon - This Dramatic Dragon Castle will leave everyone feeling like the master of their kingdom. Boys and Girls of all ages will have a blast in this inflatable castle, with their own dragon overlooking the fun. Lots of Bouncing fun and exciting things to do inside this bounce house combo. Your little knight or princess will exercise the imaginations and their bodies as they play in their private castle.